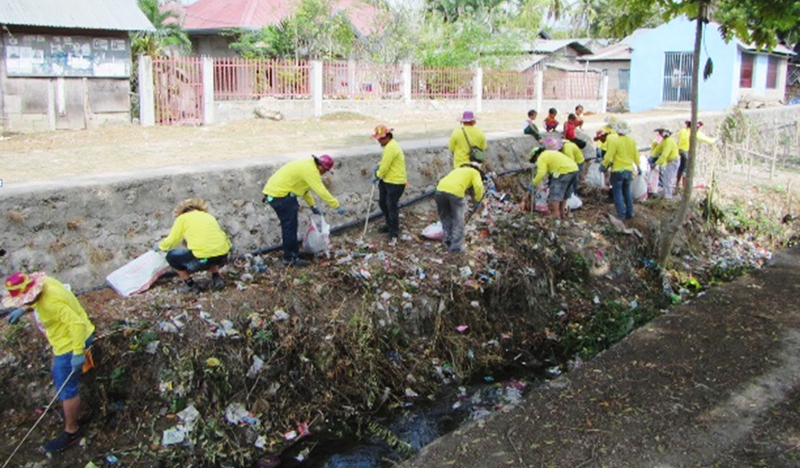 SAN FERNANDO, Cebu (May 23, 2015) — Some 300 townsfolk here and volunteers gathered today 2.6 metric tons of garbage from Luknay Creek and had these segregated and properly disposed of during a recent clean-up drive Taiheiyo Cement Philippines, Inc. (TCPI) had organized. 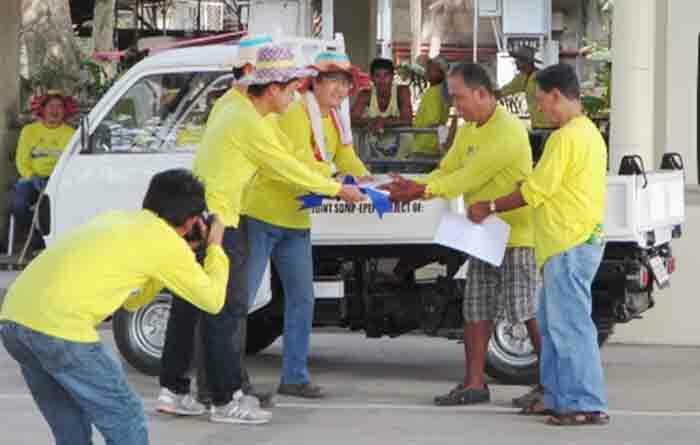 In time for the annual activity under the Save Our Seas (SOS) banner, TCPI and its materials supplier Solid Earth Development Corp. (SEDC) donated a minicab that would help residents along the creek in South Poblacion collect their trash. “We are helping the residents equip themselves in keeping their garbage and dispose of them by schedule,” quipped Dwight P. Avila, environment and safety officer of TCPI and SOS clean-up lead organizer. “By this initiative, we hope to minimize, if not eradicate, the indiscriminate disposal of garbage into Luknay, and further help prevent tragedies during heavy downpour with this major waterway kept unclogged,” he added. The same creek passes through the southern side of the TCPI cement manufacturing facilities. Rainwaters from its quarry sites behind the plant in Tonggo also run through Luknay. Volunteers, including local officials, gathered at the TCPI multi-purpose recreation centre as early as 7AM where each was given a souvenir activity shirt and cleaning paraphernalia. Environment and Safety Department head Romeo M. Gebilaguin welcomed them, as the new TCPI plant manager, senior vice president Kazuhiko Ichizawa, thanked them for joining hands with the company in keeping the environment clean and safe for everyone. South Poblacion barangay captain Dioscoro A. Esbra thanked and commended TCPI and SEDC for the yearly initiative, as he urged residents be more vigilant in keeping Luknay, their respective homes and backyards clean and tidy. 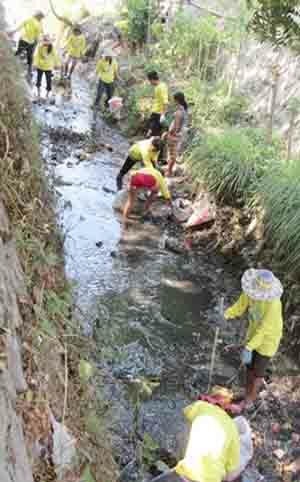 Speaking on behalf of Mayor of San Fernando, Felipe Pariño challenged Luknay residents to be serious in the drive to clean the creek, not only every quarter but everyday. “You only need to stop throwing plastics into the creek. We don’t want these to reach the seawaters and harm marine life,” he pointed out. Eng’r. Cindlylyn C. Pepito, an environmental management specialist of the government’s Environment Management Bureau (EMB)-7, explained to the assembly the rationale why is EMB promoting the Adopt-An-Estero Program. She also lauded the TCPI-SEDC tandem for its continuous support of the program. “We are delighted that the top management of both companies have been giving their full support to our program,” she said. 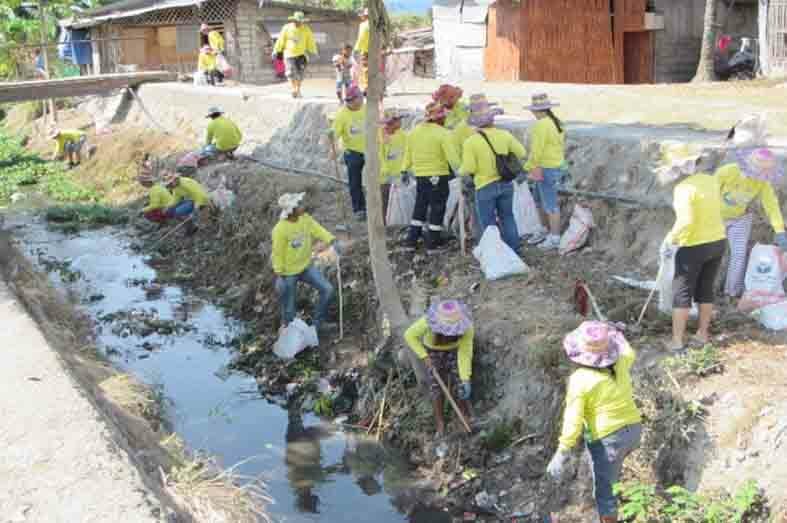 Organizers grouped the volunteers into four and were designated with areas to clean up, as upper Luknay, Lower Luknay, pier area and coastal area. After the clean-up, the volunteers were treated with packed lunch. Minicab. Taiheiyo Cement Philippines, Inc. (TCPI) and Solid Earth Development Corp. (SEDC) donated this minicab to assist Luknay residents in collecting garbage and disposing them properly. Clean-up. 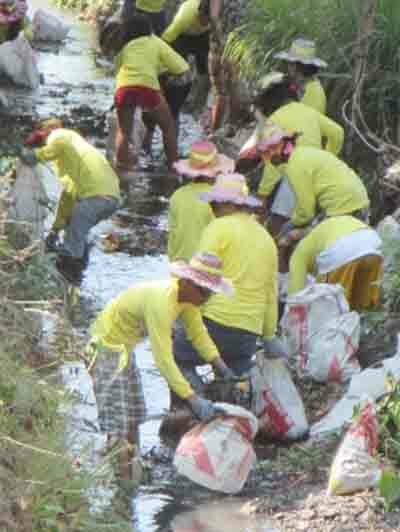 Residents along Luknay Creek and volunteers clean up the waterway in South Poblacion, San Fernando, Cebu. This entry was posted on May 23, 2015 by Cerwin in Solid Earth, Taiheiyo Cement and tagged DENR, EMB, EPEP, garbage, Luknay creek, San Fernando, Save Our Seas, SDMP, SEDC, Solid Earth, South Poblacion, Taiheiyo, TCPI.